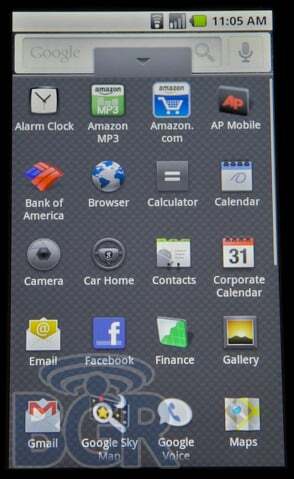 Following up on the heels of their boot-up video of the Motorola Droid, BGR has just posted the first screenshots of Android 2.0 'Eclair'. And boy it's a doozy. This obviously isn't the final build of Android 2.0 but we're loving the new features it adds and the optimization (it's supposed to be fast) of 'Eclair'. 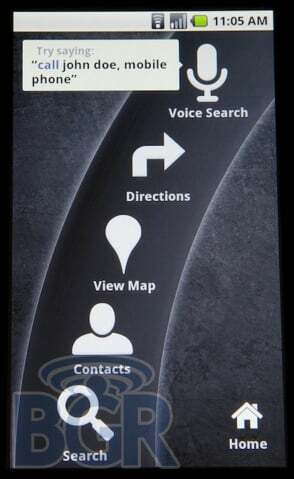 New features will probably be added and things will change, but Android is clearly headed in the right direction--this is a much more modern UI. Hit the jump to see more pictures and our commentary on Android 2.0 'Eclair'! It's a great first look to see where your favorite OS is headed! For the full gallery, head to BGR. Microsoft Exchange support is built-in to the OS so business users will have the option to sync their accounts. There's also a unified e-mail inbox to keep track of all your e-mails from different accounts. 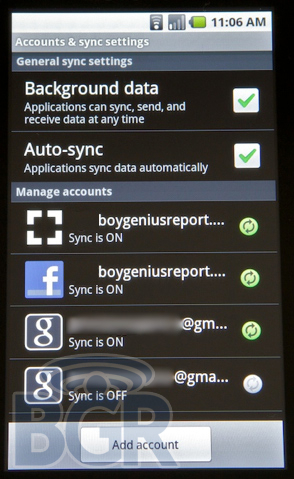 On this screenshot you can also see that Android 2.0 syncs to your Facebook account as well. 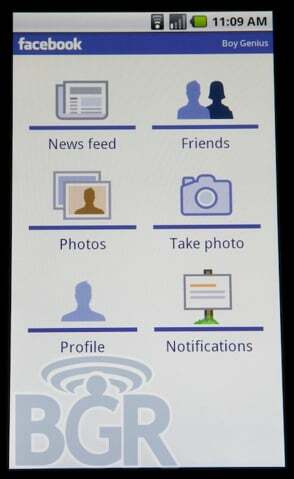 Here's the front-end of Facebook. 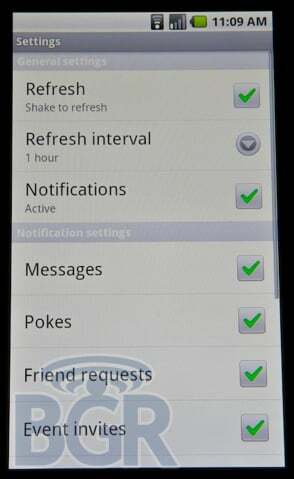 Having Facebook integration stock with Android may question the usefulness of MOTOBLUR. Will companies start to offer different experiences or just provide deeper social network connectivity? 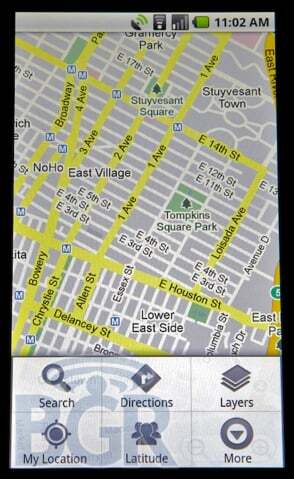 Here's the 'Car Home' application that comes with Android 2.0. Think of it as your phone in car mode. 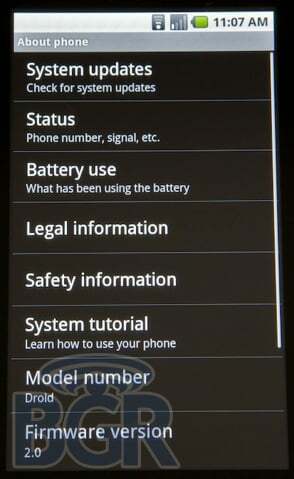 As you can see, it's got big and bright icons that can be easily pressed when driving (or occupied). 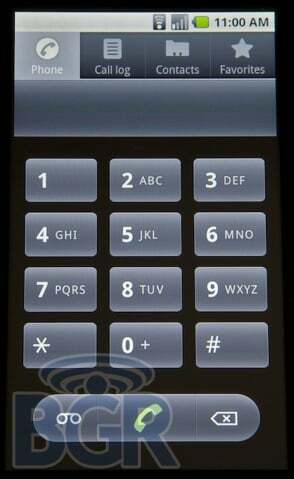 We've never considered this before but it makes so much sense, we're surprised it isn't offered on more phones. Voice Search plays a big role in making this feature a success. 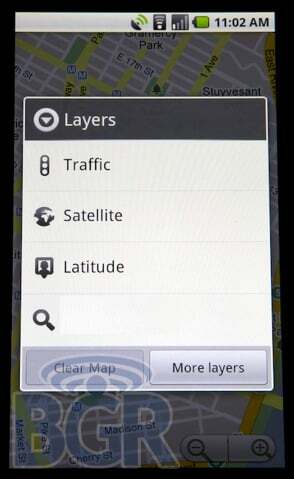 Google Maps has been improved in Android 2.0 to include support for Layers. 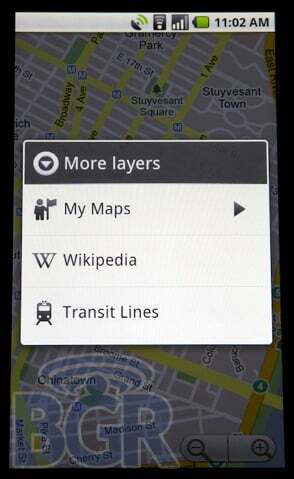 As it stands now, it looks like layers will offer neat little depth to your maps with Wikipedia entries, transit lines, etc. No multitouch but double-tap to zoom works here. Browser gets a slight facelift (shows favicons). 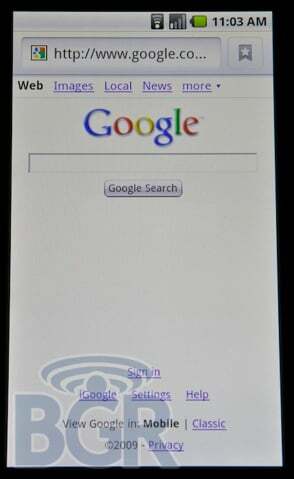 No Flash 10 support but BGR says that the browser is FAST (iPhone 3GS speeds). 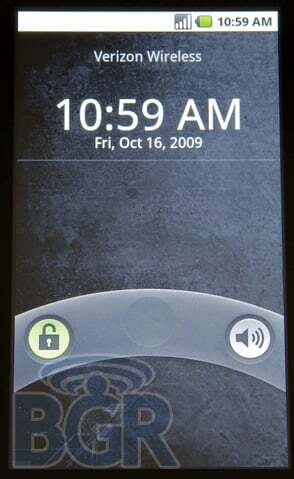 No multitouch but double-tap to zoom works. 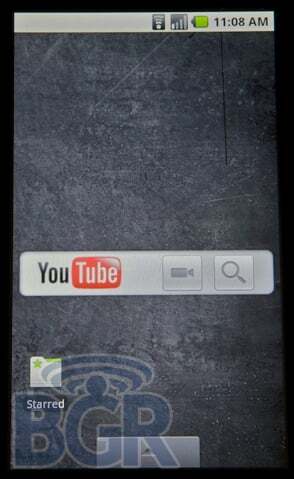 Android 2.0 scores a new Youtube widget that makes it uber-easy to upload videos. Seriously, two-clicks. Overall, it looks like Android 2.0 'Eclair' is going to be a solid update that'll most definitely improve the Android experience. We're happy with the direction that Android is headed and confident that Android is really about to explode. 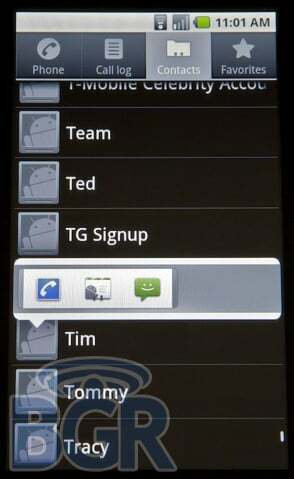 In 2.0, Android looks much more modern and polished and ready for the bright lights.